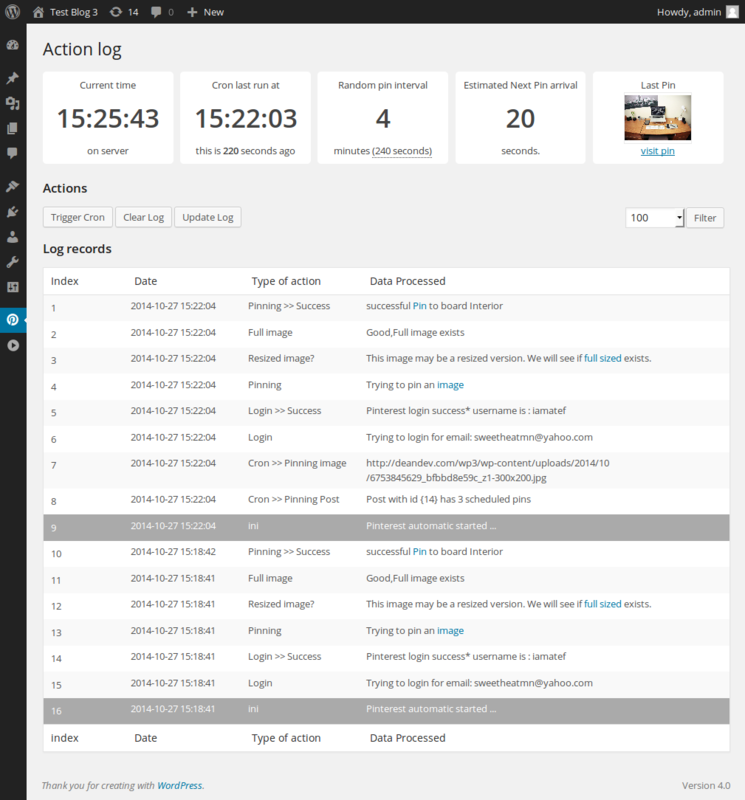 - Change: Now the plugin does not require a username and a password, but a cookie session. - Fix: Parse front-end now supports the "more" tags. - Fix: conflict with divi icon sorted. - Fix: proxy now gets trimmed removing any extra white space that may cause a proxy issue. - Fix: Recent Pinterest change made the plugin no more display the username fixed. - Fix: Recent Pinterest change stopped pinning from non-us servers now handled. 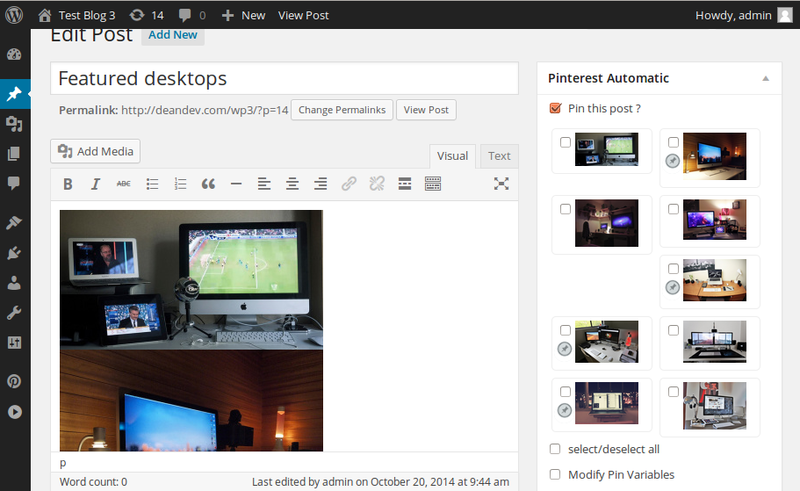 - Fix: Recent Pinterest change stopped the plugin from functioning sorted. - Fix: gallery images pinned as thumbnails 150X150 px now pins the full sized image. - Fix : [post_tags] tag was not returning tags for custom post types. now it does. - Fix: some pinned image was getting auto checked. - New: now you can reset the queue any time just visit the queue and click "Clear"
- Fix: Main class was named Pinterest. class name changed. - URGENT Fix: Pinterest changes something that made the plugin stop working as expected. - bug fix: a recent bug fixed that made the plugin give an error when pinning. 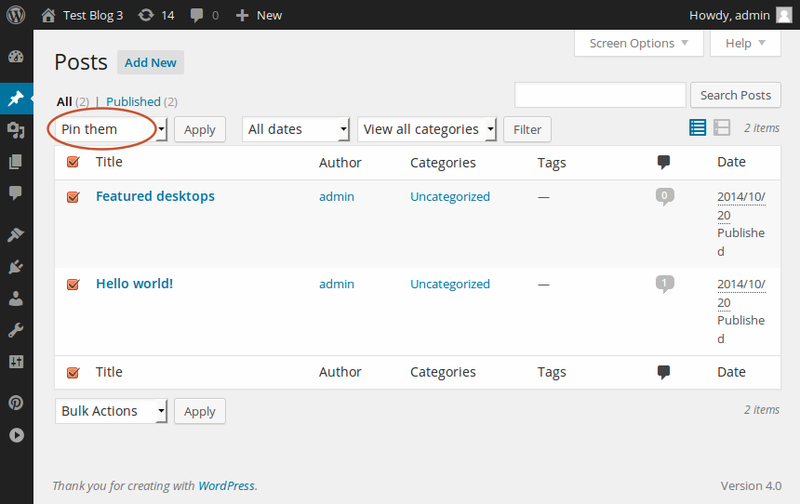 - Fix: recent Pinterest change made the plugin get boards names as "undefined". Sorted. - code update: fetch boards fixed after stopping work as Pinterest changed and plugin. - code update: Pinterest changed and plugin updated to work with the latest change. 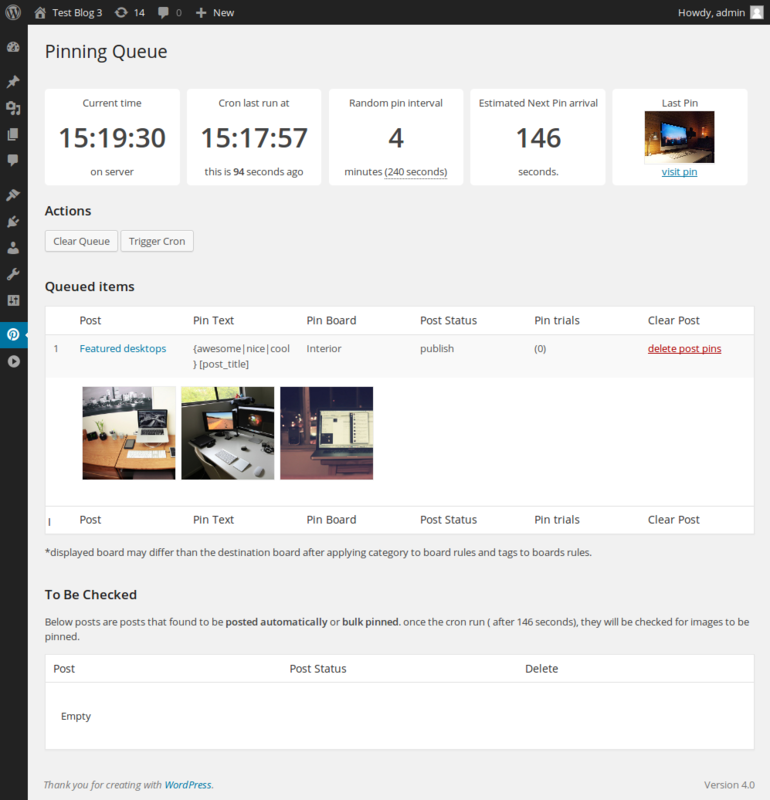 - New Feature: option added for auto-checking the first image for being pinned.